If you are a manufacturer or an online retailer shipping is the backbone of your business. There were probably times you and your accountants have had headaches over unexpected courier fees. 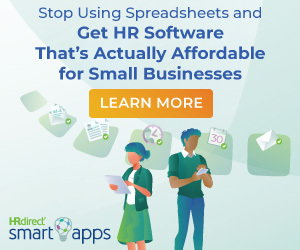 To avoid losing company profit from costly shipping expenses it is smart to educate your employees and yourself on best practices when it comes to shipping. Some tips you might already know, but others might not be so obvious, such as using the right agent, this can save you a dramatic amount of money due to hidden oversize and various weight fees. a) Never reuse a box, especially when shipping fragile gifts because cardboard shipping boxes lose 50 percent of their structural integrity each time they are used. b) Always seal all the seams. By only taping seams on top and bottom of box, the sides are left open to absorb rain and winter snow. That could lead to wet packages, weakened boxes and damaged items. c) Always leave paperwork with the receivers address within your freight, carton or boxes. In the event that the item is damaged or becomes opened during a shipment, and needs to be identified where it should be sent. Adjust Your Box, Carton or Crate to Avoid Dimensional Weight (DIM) and Oversize Surcharges. Couriers most often have weight minimum and oversize penalties, which are referred to as DIM charges (Dimensional Charges). These fees are calculated between the package weight and package size. When entering dimensions into carrier systems keep in mind that full inch DIM dimensions are rounded up and down (i.e., a length between 11.1- to 11.49-inches would round down to a DIM length of 11 inches; a length between 11.5- to 11.99-inches would round up to 12 inches). 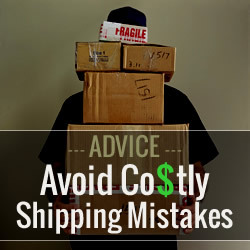 When people are strapped for time and need to ship out a product, at the last minute is often the time they guess shipping costs, instead of finding out exact figures. This is like throwing money away and can potentially cause fatally embarrassing mistakes! Often the receiver is the customer who is forced to pay extra fees on delivery. Shipping globally you will be subjected to duties and taxes that you might not have necessarily have expected to occur. Make sure you understand the fees you may incur when exporting items from your country. The tiniest error can cost you. It is smart to impose a buddy system. Have one person check the shipping details: from address, weight, price and then get someone else to check it again. Consider repricing your highest margin products to automatically include ground shipping plus a little wiggle room and then promote them as items with free shipping. It’s a win-win situation. Not only can this be a marketing tactic but it also takes the wiggle room funds and sets it aside to cover shipping costs of other products or mishaps. Some companies don’t realize by using an agent this can actually save a drastic amount of money and headache. For instance our company shipping agent Steve Frost of InXpress headquarters based in Walnut CA, (Address 340 S Lemon Ave #8813) Contact No: 213-234-4278 or 949-572-0525 has cheaper rates than FedEx UPS, and USPS. Not only that, our staff doesn’t have to waste costly man hours, waiting on hold to track packages, our paperwork gets triple checked so there is virtually zero shipping mistakes due to faulty paperwork. Plus they constantly give us beneficial advice on how to improve our packaging, and lead times to lower company costs.